OK YES! 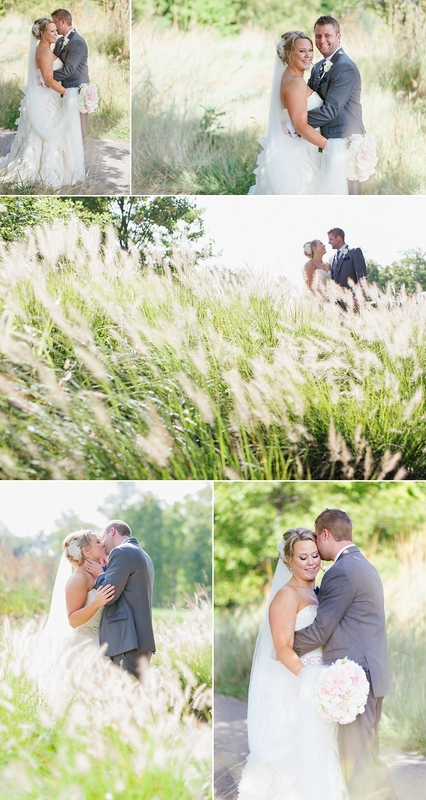 I’m so excited to be writing about this wedding today. You might remember these two from their amazing engagement shoot posted earlier last year here. Holy heck that was a fun day. These two have killer personalities and I feel so lucky to have spent their wedding day with them among family and friends. 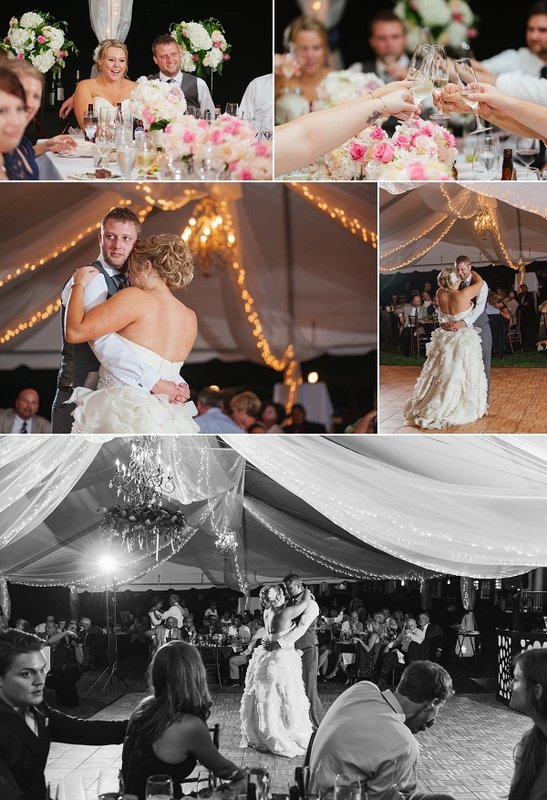 The entire wedding and reception took place at Tartan Fields, a stunning country club with landscapes that would make you weep. Ok, not really- but it was really quite perfect. Their ceremony took place indoors in a beautiful room that had lots of natural light and towering ceilings. It felt like the room was giving you a hug. The front altar was adorned with white sheer drapes that were uplit a soft pink. 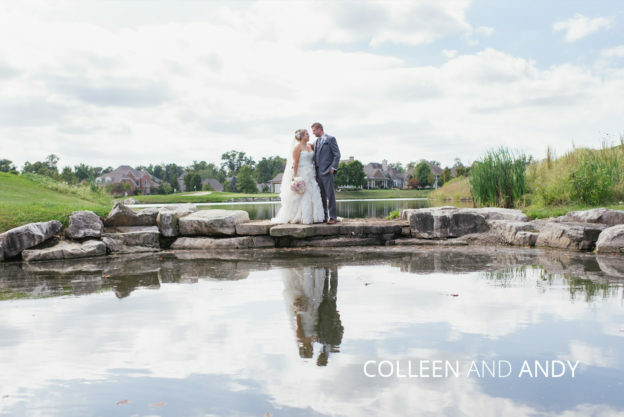 Colleen’s Trousseau gown had layers and layers of magical perfection that floated away from her as she walked. My favorite part of the service was their commitment ceremony. Instead of just lighting a unity candle, they had everyone hold an individual candle- a beautiful way to include the guests in their commitment to one another.